We humans are too busy in our daily routine that we hardly get enough time to sleep. Sometimes, too much stress and anxiety don’t let us sleep properly. Often, our sleep gets break in between and then there comes a situation when we have to take the sleeping pills to get a good sleep. But, these sleeping pills can damage our nervous system. A good sleep is really important for a healthy body. If you sleep less, then there is a dire need to find a good sleep solution to improve your sleep. 1 Is there any solution to improve sleep? Is there any solution to improve sleep? The Science & Technology has made a huge progress over the passing years. From an automated human like machine to control over the human brain, everything has been made possible. 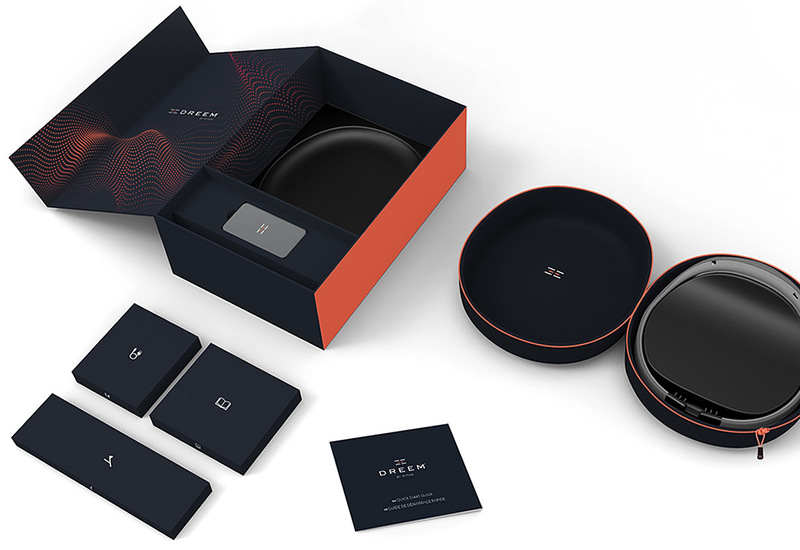 A neuro-technology company named Rythm has launched has a revolutionary product – Dreem. This product can help you induce sleep without any therapy or sleeping pills. Let us have a brief insight about this stunning product to improve sleep quality. 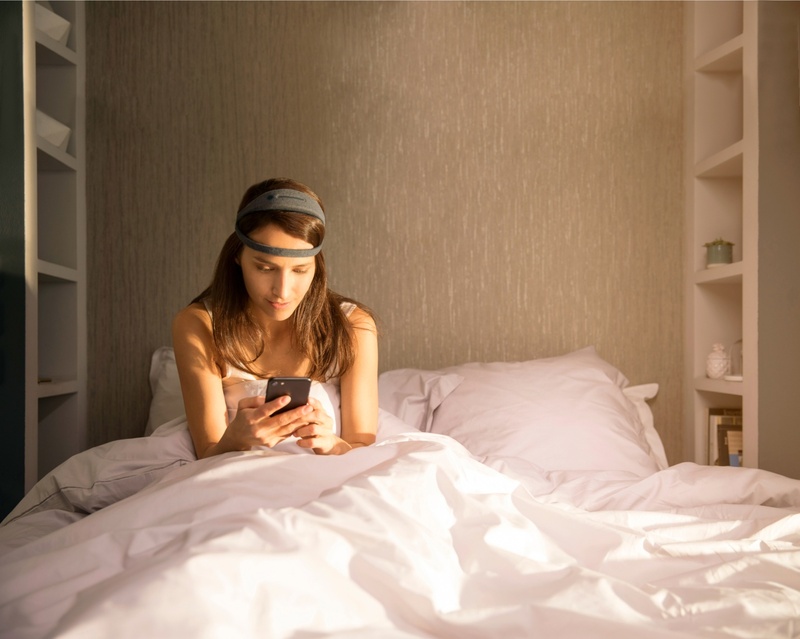 Dreem is a revolutionary, miniaturized, and autonomous headband that can be used to improve our sleep. It acts as an ultimate sleep solution that analyzes the brain activity and uses the sound stimulation to enhance the quality of sleep in a non-invasive manner. The BETA version of this product has been tested by 500 people and their feedbacks are positive so far. Dreem is a comfortable headband which comes with a smartphone app. It collects the data and influences the behavior of the user in real time according to the data it has collected. This headband is well integrated with different sensors including accelerometer, ECG, and Pulse Oximeter for monitoring and analyzing the brain activity. The user just needs to wear the Dreem headband and go to the bed. This device uses the mobile app and Rhythm’s sophisticated algorithms for tracking and analyzing the brain waves while sleeping in real time. When the sleeper is in deep sleep, this device stimulates the sound that improves the sleep quality. There is a huge library of audio programs and exercises which are synced with your psychological state for reducing your sleep onset latency. The deep sleep usually improves the physical and cognitive performance during the day. You can stay cool throughout the day if you wear Dreem headband while sleeping. The sleep quality has deep connotations on your overall well being. The complete Dreem package (Hardware + Software) come up with an exclusive range of features. You will be stunned to use a headband like this one. Let’s learn about some of its powerful features. Dreem headband is light in weight and totally comfortable. It uses the sound stimulations to enhance the sleep quality of the sleeper by closely tracking and monitoring the different sleep stages and activities happening in the body. It uses advanced sensors and electronics for tracking and monitoring. You don’t need the earplugs as the sound waves are transmitted using the bone conduction technology. Dreem has got a simple and intuitive interface. It automatically monitors every activity of your body and records them as well. It is a wireless device that can be connected to its smartphone app through Bluetooth. This helps the users to see the history, quality, pattern, and brainwaves of their sleep in the app. All you have to do is enter the desired wake up time in the app interface. 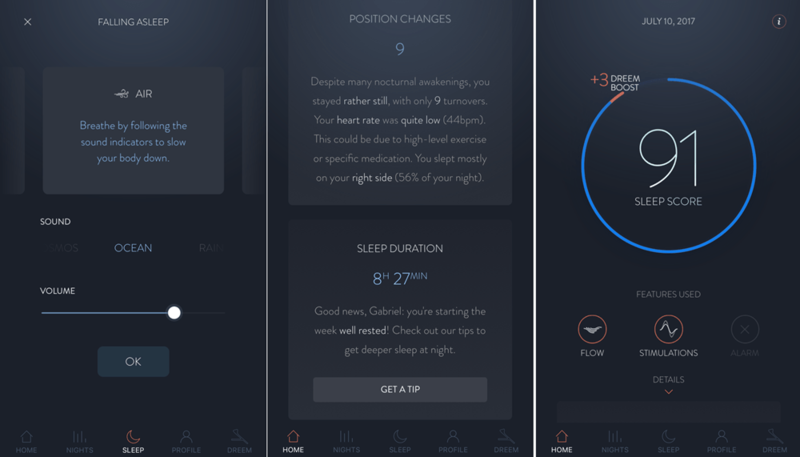 Dreem will wake you up at the optimal sleep stage which is closest to the entered time. It ensures that you are not jarred awake during the unsuitable stage. You can witness the happy mornings avoiding the sleep inertia. Rythm offers you 30-days free return guarantee. You can but it and try for next 30 days. If you feel the need of returning it, you can request the return within 30 days of making the purchase and get your money back. Dreem will be made available later this year at a price of $499. It will come up with 1-year warranty and will work with iPhone 5 and above versions and also with Android 4.3 and later versions. You can pre-order it at $399. A good quality sleep is really important for human mind to function properly. It promotes overall well being. 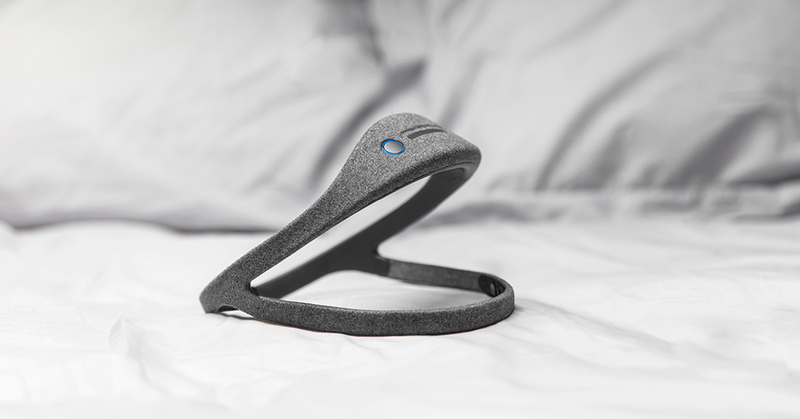 Dreem Headband by Rythm has emerged as a powerful sleep solution for the sleepers. It enhances the quality of sleep and leverages everyone to live a healthy lifestyle.